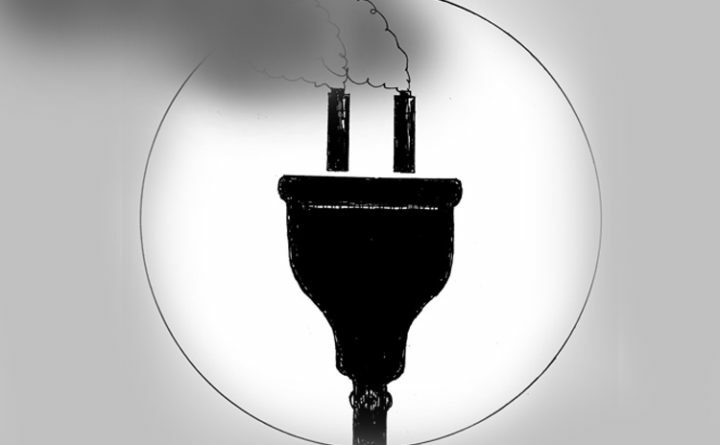 The Legislature should listen to the voices of the public by passing LD 640 and requiring the Maine Department of Environmental Protection to pursue an independent third-party study of the greenhouse gas impacts of Central Maine Power Co.’s New England Clean Energy Connect proposal. During the time I served as a selectman for Alna, CMP’s spokesman for its proposed NECEC project, John Carroll, met with the Select Board twice to request our support. At his first visit in October, we shared two principal concerns about the project. First, the financial considerations that CMP offered to Maine were negligible compared with those that Eversource offered New Hampshire for a similar project, Northern Pass. Second, there aren’t publicly available analyses or data to demonstrate that CMP’s project would yield a net global reduction in greenhouse gas emissions. I recall Carroll telling us that contracts were signed; there wasn’t funding available to provide the type of financial mitigations New Hampshire received; and Maine would lose a tremendous opportunity if this project was denied regulatory approval. Given the outcome from the settlement conference a few weeks ago, we know that Carroll wasn’t telling us the whole truth. When Alna had a second visit from Carroll after the settlement conference in late February, I raised the question of global greenhouse gas emissions reductions again. I told him that a credible analysis showing that the NECEC would result in a net reduction in greenhouse gas emissions would convert me from an opponent of the project to a strong supporter. For me, enhanced financial mitigation from CMP isn’t enough to earn my support. I can’t endorse CMP’s proposal without proof that it isn’t merely a profit-driven energy arbitrage where Hydro-Quebec would simply find a new market and higher bidder for existing renewable power generation capacity. Hydro-Quebec has been opaque on this fundamental question of net greenhouse gas emissions, and the public has heard conflicting analyses from outside parties. For example, the Natural Resources Council of Maine asserts that regulatory filings show no increase in generation capacity and no evidence that this project will result in a net global reduction in greenhouse gas emissions. The Conservation Law Foundation, on the other hand, opposed New Hampshire’s Northern Pass project and questioned its potential greenhouse gas emissions. Now the foundation claims that the NECEC project will provide a net environmental benefit that it can support. I haven’t seen a credible explanation of the differences between Northern Pass and NECEC to support the foundation’s new conclusion. Neither Maine’s regulators nor the public have seen persuasive, independent analysis that allows us to understand this most fundamental point about the project. That’s why LD 640 is critical. Opponents of the independent study argued at the recent public hearing that, because there isn’t evidence that this project won’t result in a net greenhouse gas emissions reduction, then Department of Environmental Protection shouldn’t take the time to conduct the analysis at all. They say that performing an analysis will only delay the project and the chance for emissions reductions. This argument is backward. As I recently told Carroll, if a credible third-party analysis were to show that the project would result in a net reduction in global greenhouse gas emissions, then many people who oppose this project would likely be converted overnight to strong supporters of the project. Instead of delaying the project, an independent study could in fact be wind in the sails of CMP and Hydro-Quebec. If the proponents of this project are telling us the truth about NECEC’s environmental benefits, then it’s in their best interests to support a credible, independent, third-party analysis. Ed Pentaleri is a former selectman in Alna.